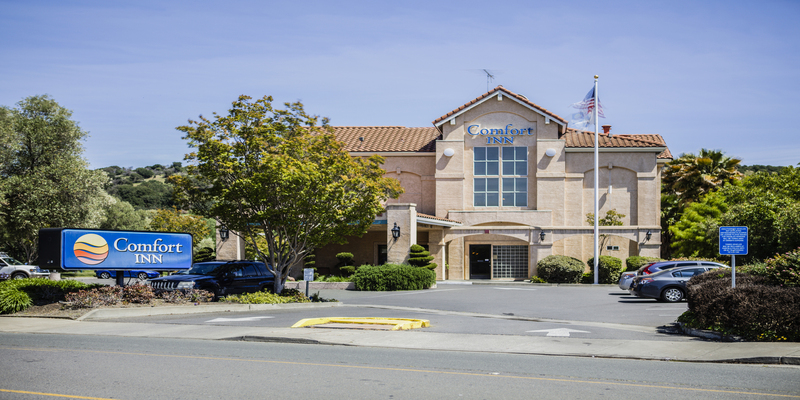 The Comfort Inn® Cordelia is centrally located between San Francisco and Sacramento, just minutes from the beautiful Napa Valley wineries. This Fairfield, CA hotel is minutes from Six Flags Discovery Kingdom, Chapman University, Travis Air Force Base and the Sonoma Raceway. Be sure to take a Jelly Belly Factory Tour, which the entire family will enjoy. Nearby California wineries include Wooden Valley Winery and Vezer Family Vineyard.